Your Lighthouse H20 Alkaline Water Pitcher goes the extra mile and actually restructures your tap water. From increased alkaline PH (8.5 to 10 range) to transforming water clusters into hexagon shapes, now your water absorbs faster and increases energy [see images]. Those who recognize the health benefits of Alkaline water will enjoy balanced calcium / magnesium and lower ORP (-200 to -400) that reduces oxidation for a healthier body. The powerful 6-stage cartridge also removes impurities and then improves water with 20 trace elements for fresh tasting water. As far as design is concerned, this cartridge screws in and eliminates the unfiltered leakage that happens with most drop in filter machine designs. And there is a Countdown Indicator that tells you when to change the filter - no more guesswork. 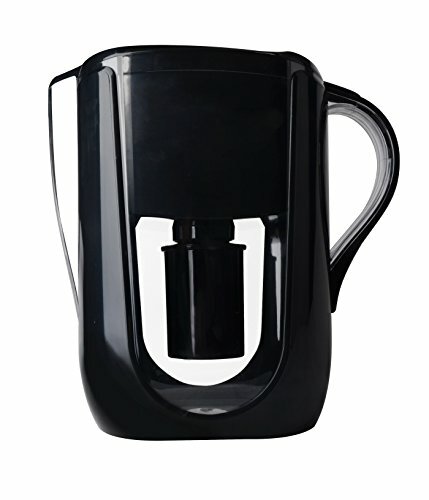 And finally, this high capacity pitcher is designed to last, from BPA free materials, to rugged lid and handle designs that won't break off like on cheaper pitchers. If you have any questions about this product by Lighthouse H2O, contact us by completing and submitting the form below. If you are looking for a specif part number, please include it with your message.